Ella Sri Lanka is a must do on any Sri Lanka itinerary. Out of all the amazing destinations we have visited in Sri Lanka, nowhere compares with Ella in the central highlands. It is the perfect mix of locals and intrepid travellers and currently sits in that sweet spot where the balance is even. Even though it is quite small there is enough to keep you here for a few days or if you really want to relax, a few weeks. 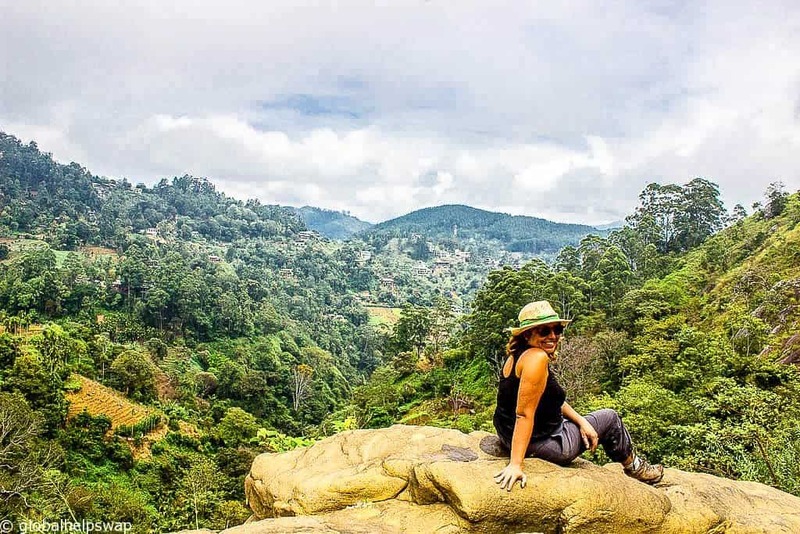 Below is a list of our favourite things to do in Ella Sri Lanka. Visit the place now before it becomes too developed. 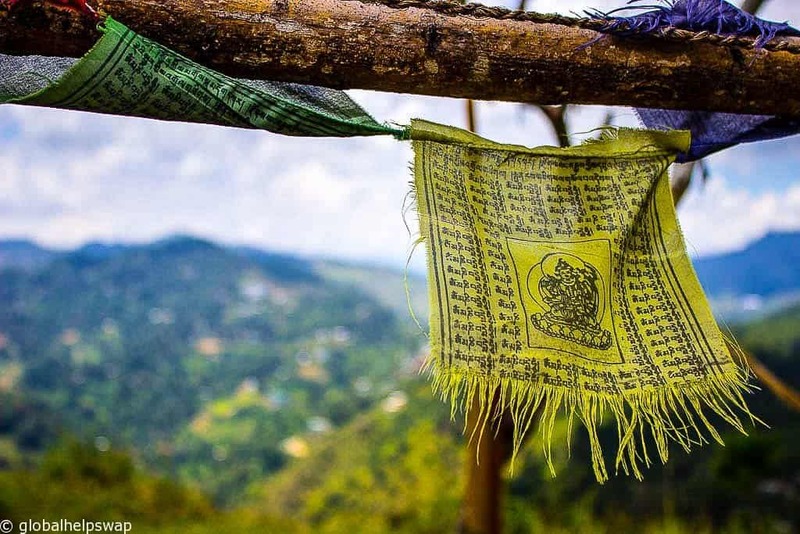 If you’re wondering what to do in Ella you will notice that many of the activities will involve a trek of some sort. This trek to Ella Rock is a lovely easy hike. It roughly takes around two hours to get to Ella Rock but it took us a bit longer as we kept stopping to admire the scenery or to chat to locals. The trek is roughly 8km so make sure you take water with you. 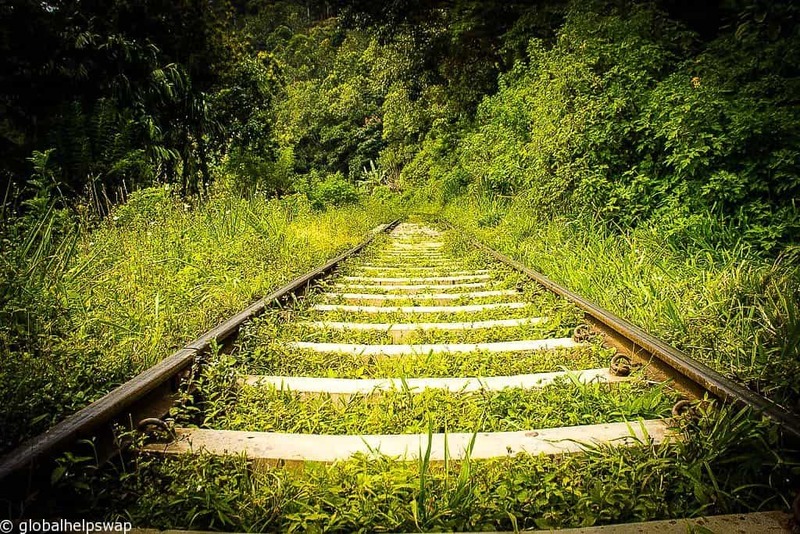 Part of the trek is along rail tracks making it feel very adventurous, especially when you hear the train coming! Start the trek at Ella Train Station by walking left all the way down the platform and getting on the tracks there. Ignore the signs saying not to do this as everybody does. Nobody will say anything. Walk along the tracks to Kithalella Railway Station. This should take roughly 45 mins. After 5-10 minutes we came to a rock with a sign in blue telling us Ella Rock was towards the left. Cross the footbridge and keep to the left towards the tea plantation. Just past the tea plantation, there are various routes leading off. Stick to the main path and don’t veer off. Once you get to the opening, you are there. Take your time and find the perfect spot for your photos. If the weather is good we would suggest taking a picnic as the scenery is beautiful. Karen sitting on the edge of the waterfall. During the 5 days, we spent in Ella we got into a routine where we would wake up early in the morning, have breakfast in our guesthouse and head out early. In the afternoon we would have a siesta before heading out for dinner and cocktails in the town. The perfect day! One of our most memorable moments was when we trekked to the Ella Waterfall (Ravana Falls). The scenery along the way was jaw-dropping. When we got near to the waterfall we met a local. He watched us go to the viewing area and then said to us to follow him. Not wanting to miss a challenge we duly followed. When he clambered under the safety barrier we started to have second thoughts. In the end, we carried on as this is normal in Asia right? I am so glad that we did follow him as he led us to a huge rock right next to the waterfall. We sat there for hours admiring the view and listening to the powerful water cascade over the edge. The only trouble was we forgot the route back up to the top! 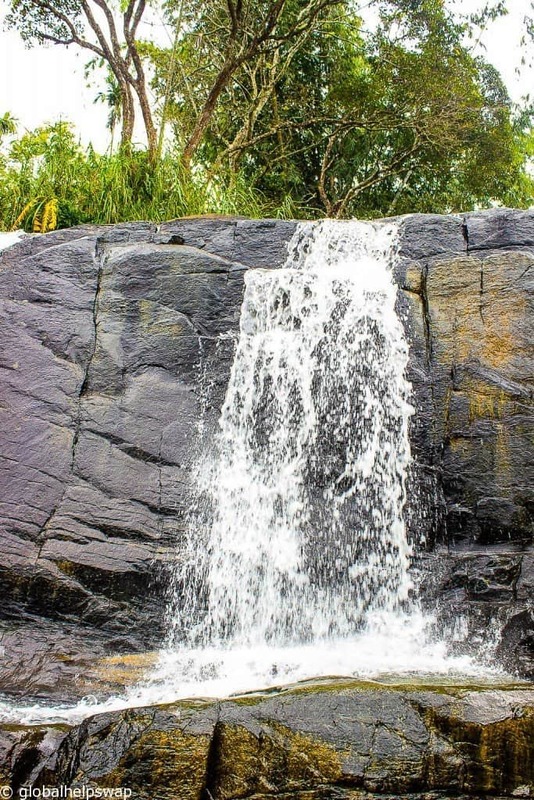 You can also swim at Ella Waterfall. The weather in the highlands are a lot cooler than the coastal areas but it can sometimes get sticky. What better way to cool of then at the foot of some waterfalls? Just make sure you take care on the rocks as they are very slippy. Don’t try to climb the waterfall either as it’s very dangerous. Are you heading to the beach after Ella? Read why Mirissa Beach is our favourite beach in Sri Lanka. This a beautiful trek that takes around 2/3 hours depending on how many times you stop for photos. This is the most popular trek in the area so expect to bump into fellow travellers you met in the bars the night before. Unlike the trek, to Ella Rock, the trek to Little Adams Peak is clearly signposted. Look for the signs to the 98 acres Ella and you are on the right path. You will pass some lush tea plantations on the way and if you are lucky bump into the tea pickers. Out of all the treks we did in Ella, this was our favourite. Another popular thing to do in Ella is visiting a Tea Plantation. 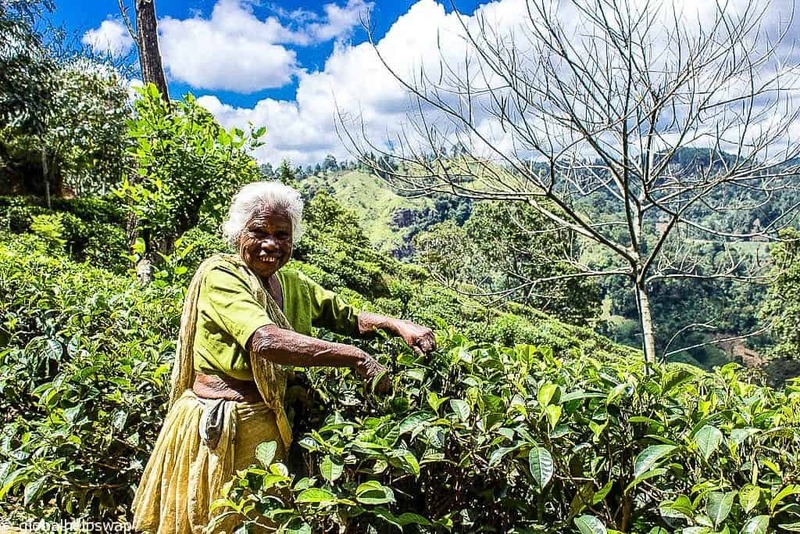 There are a few just outside of Ella Town, the most popular ones being Halpewatte Tea Factory, AMBA Estate Ecological Tea Plantation and Dambethenne Tea Factory. The latter is close to the famous Lipton Seat viewpoint and was built by the Scottish tea baron Sir Thomas Lipton in 1890. The Nine Arch bridge in Ella is a beautiful construction set in even more impressive surroundings and is well worth a visit if you are in Ella. The legend goes that when the bridge was being built, while Sri Lanka was still under British rule, the Great War broke out. As a result, the British reallocated the steel that was meant to be used for the bridge construction to the war effort and the bridge was built by local talented craftsmen using only stone bricks and cement. The Nine Arch bridge can be reached via a 200 rupee taxi ride from Ella town or a 30-minute walk through vegetation and tea plantations. If you visit the 9 arch bridge at sunrise you’re likely to be alone or at least in the company of very few tourists. You can also time your visit to see a train passing over – we saw a train at 11 am. Sri Lanka is famous for Ayurveda massage and we were keen to spend an afternoon being pampered Sri Lankan style. We mistakenly chose a small independent spa (not 98 acres) that left us more stressed out than chilled out. Our massage room was full of mosquitos, the oils that were used gave me a rash and the whole experience was just not very pleasant. So if you do decide to treat yourself to a massage we would recommend you visit a slightly more upmarket spa such as the 98 acres resort. Ella town is a one street town that has enough options to keep the intrepid traveller happy for a few days. Our favourite place to eat and drink was Cafe Chill. The food is a mix of international and Sri Lankan and they make wicked cocktails. 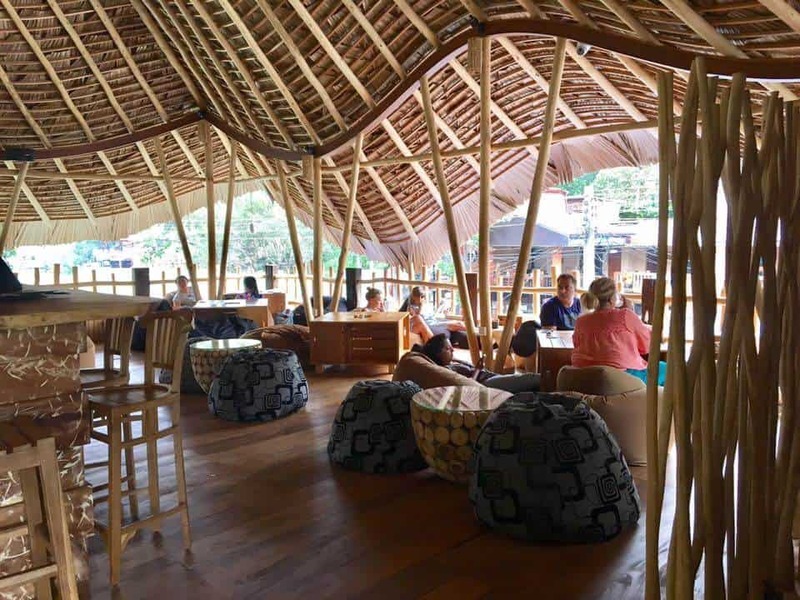 It is a great place to meet fellow travellers or just sit back and listen to the good music they play every night. Another favourite was the Rotti Hut, a place for cheap and fast lunch. The rottis are delicious and they have a wide choice of flavours. We’d recommend spending a lazy afternoon here after all that trekking. This is the newest addition to Ella. As the name suggests the Ceylon Tea Factory is built to resemble a tea factory. They serve high-quality Sri Lankan and Western food. Their address is 39 Passara Road, Ambagollapathana, Ella. So we hope that by now we’ve convinced you to visit this magical place in Sri Lanka. 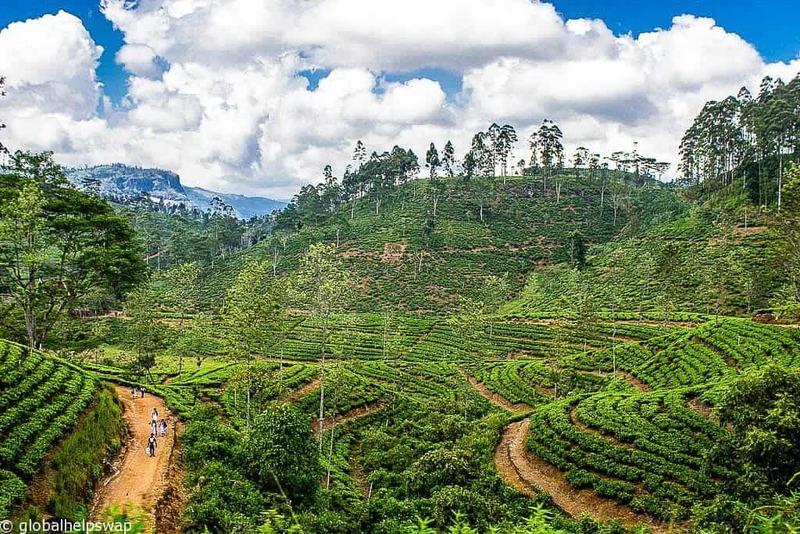 We strongly recommend you get here from Nuwara Eliya by train as the journey itself will be a real highlight. 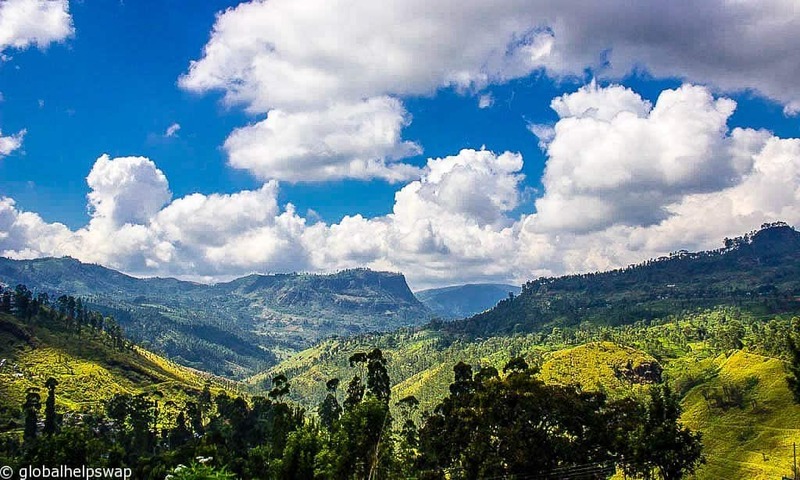 A few fellow travellers had told us how amazing the train journey was from Nuwara Eliya to Ella but no words can convey how spectacular the scenery is. First of all, make sure you are sitting in 2nd class not 1st class on the train. The reason is that in 2nd class the windows and doors are open meaning you can take photos from either side of the carriage. In first class the windows are sealed as the carriage is air-conditioned. Make sure your camera is fully charged because believe me you will be taking many photos. 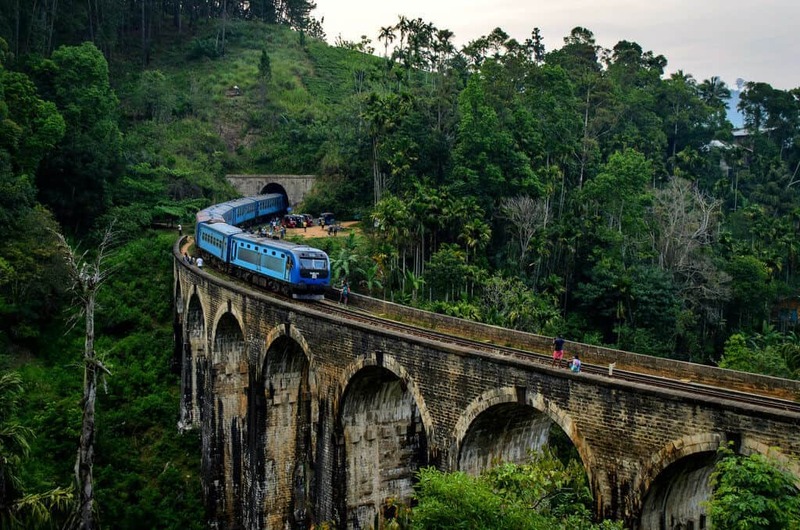 The Nuwara Eliya to Ella train route has to be one of the most spectacular rail journeys in the world. It is literally taking a train in the clouds. I hardly sat down for the entire route because each side of the carriage was trying to outdo the other with the stunning scenes. Top tip: Sit in 2nd class on the train to take photos! 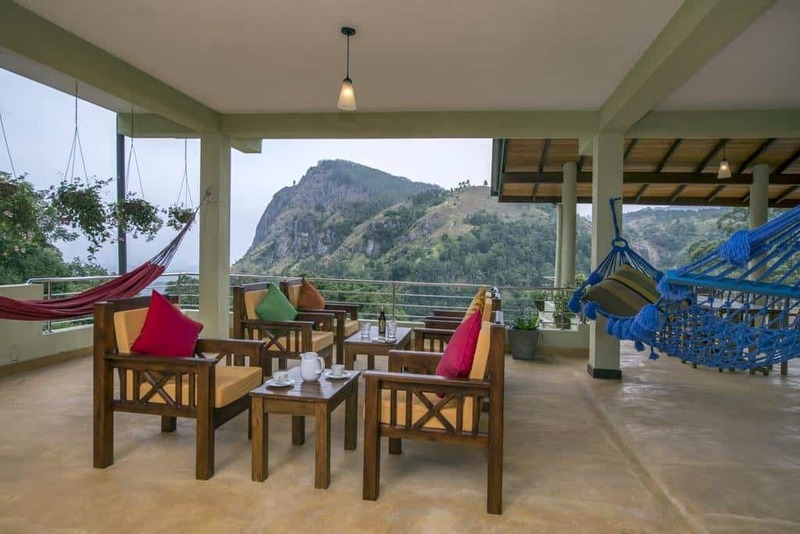 Most of Ella accommodation falls into two camps: luxury resorts which are a wonderful treat and guesthouses which have a homestay feel to them and offer great value for money. 98 acres resort is a dream of a resort. Set amongst stunning scenery and lush vegetation it provides everything you would want in a luxury romantic stay. The gorgeous buildings were designed to blend with the surrounding nature and the hotel has some good eco practices. The hotel has won a number of accolades including best mountain luxury resort of the world. Swoon. Check latest prices for 98 acres resort here. If your budget doesn’t quite stretch to romantic luxury worry not. 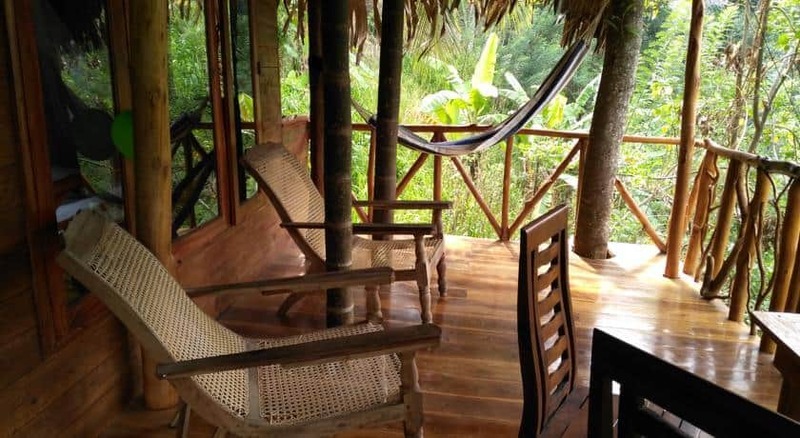 The guesthouses in Ella provide excellent value for money and the ones we’ve listed below all have fantastic views. Chamodya Homestay is a highly rated guesthouse for many reasons. The views, the location, the food and the staff are all great. No wonder guests who stay here become raving fans. The rooms are basic but large and clean. 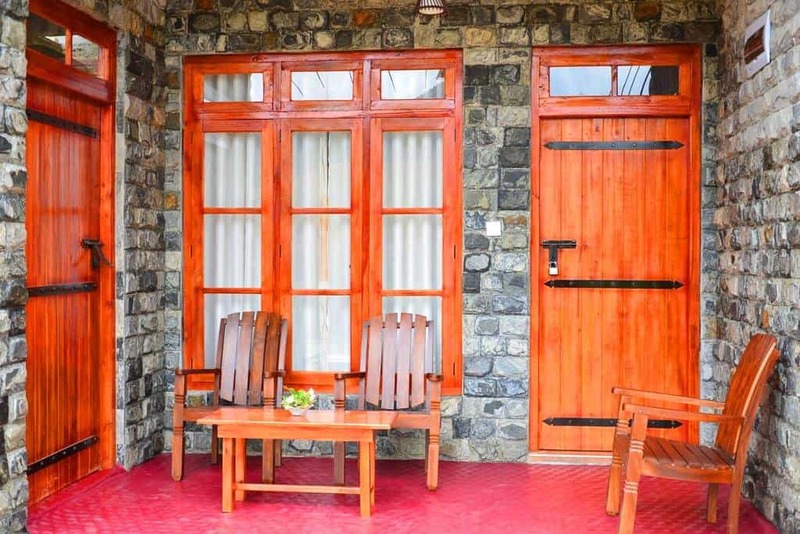 Check latest prices for Chamodya Homestay here. 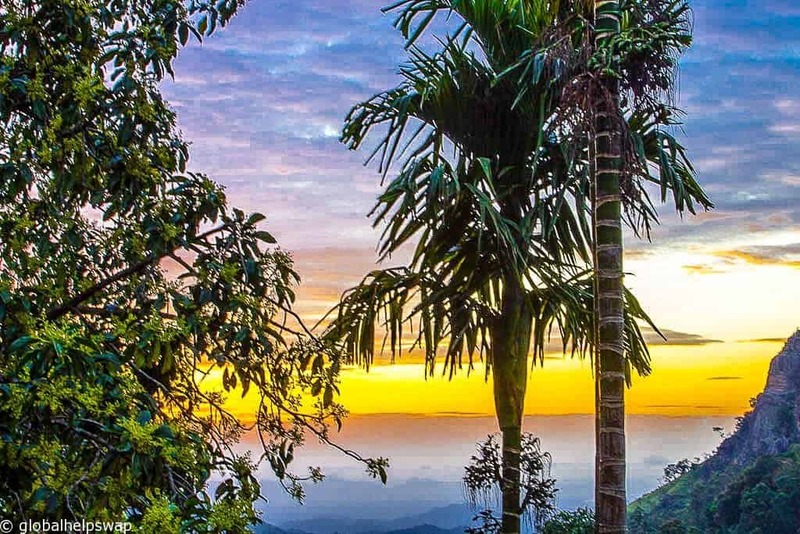 This homestay has amazing views of the Ella countryside and the breakfasts are legendary. The rooms are large and clean and the staff are as friendly as they come. Previous guests have raved about the view at this hotel claiming it has the best view in all of Ella. Apparently having a sundowner on your balcony is the done thing and who are we to argue? We love hotels that have a bit of character and you can’t get more characterful than this place. The owner built the place himself and people love the views, the rooms and the secret bathroom??? It looks amazing. As Ella is up in the central highlands the weather is a lot cooler than other parts of Sri Lanka. It was pleasant to do all the treks in the cooler climate. We hope this has given you some ideas on What to do in Ella. 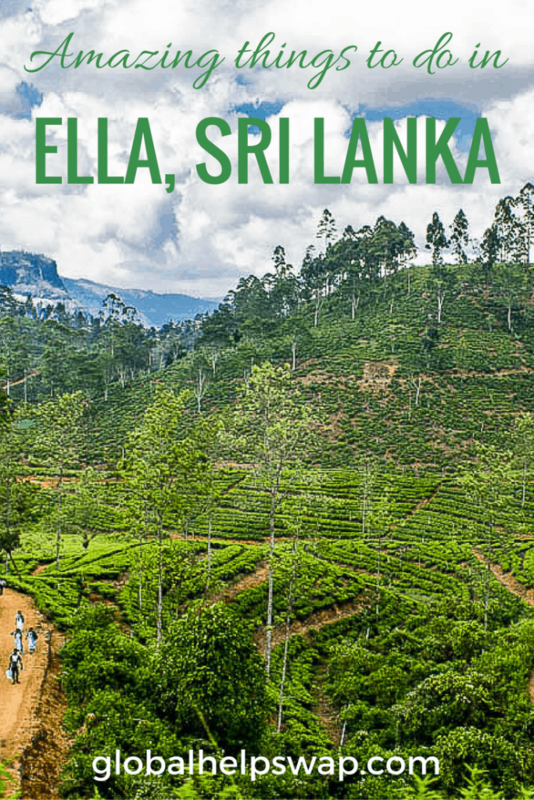 Ella is a special little town that you should definitely include in your Sri Lanka itinerary. The train journey alone is worth the trip but the treks, people and general vibe of the place are also good enough reasons. Going to Sri Lanka? Check out our other travel guides on Sri Lanka first! 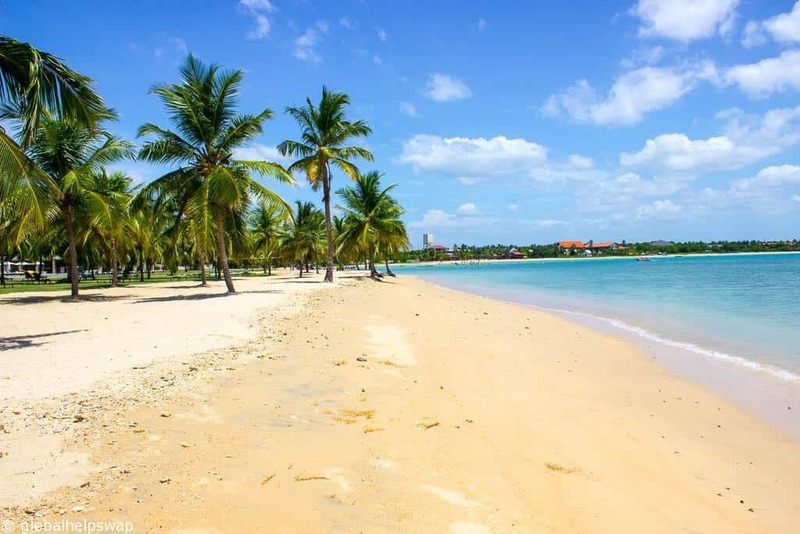 The best places to visit in Sri Lanka – Discover the best places to visit in Sri Lanka. Read our blog to make your trip to Sri Lanka a memorable one. From Galle to Jaffna we cover all the major tourist spots in Sri Lanka, plus we head out to the little-visited east coast for a more authentic experience. How to get from Negombo to Colombo – How To Get From Negombo to Colombo By Train, Bus Or Taxi. If you are heading to Sri Lanka and was wondering how to get from Negombo or the airport to Colombo please read our post for all the travel information you need. Places to visit in Anuradhapura – Are you heading to Anuradhapura? Then read our Best Places To Visit In Anuradhapura post before you go to find out what sites to visit. Exploring Sri Lanka’s East Coast – Are you heading to Sri Lanka? Then why not check out the best of Sri Lanka’s East Coast? You will find empty beaches, friendly locals and good surf. How to travel from Colombo to Kandy – Read about all the options to travel from Colombo to Kandy. Should you take a taxi, a bus or the train. Click here for the pros and cons of each option. Green Sri Lanka: Cinnamon Wild Yala Hotel – Are you heading to Yala National Park? Before you go, read all about our magical stay at the Cinnamon Wild, Yala, Sri Lanka. Responsible Tourism at it’s best. The Best Honeymoon Hotels in Sri Lanka – Have you just got married and are looking for a honeymoon hotel? Check out The Best Honeymoon Hotels In Sri Lanka before you book. These 9 hotels are perfect for honeymooning couples. When is the best time to visit Sri Lanka? – Sri Lanka weather varies on different parts of the island. 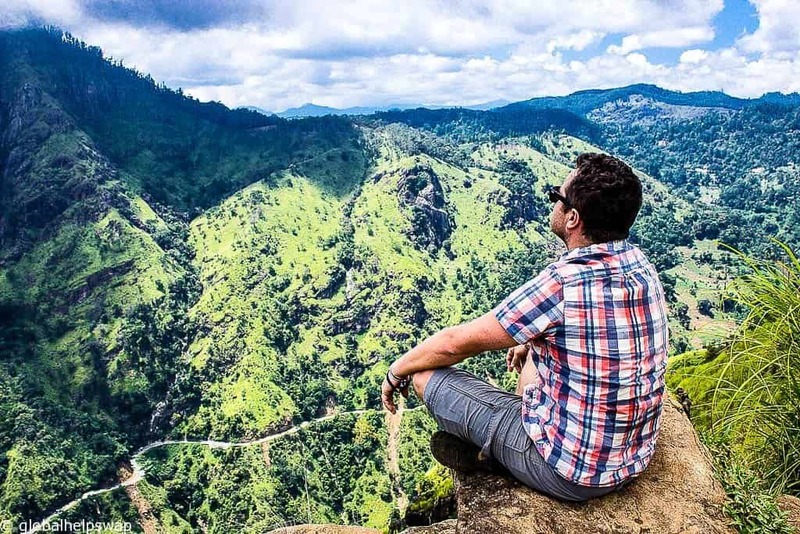 Read this breakdown to help you find the best time to visit Sri Lanka by month and activity. 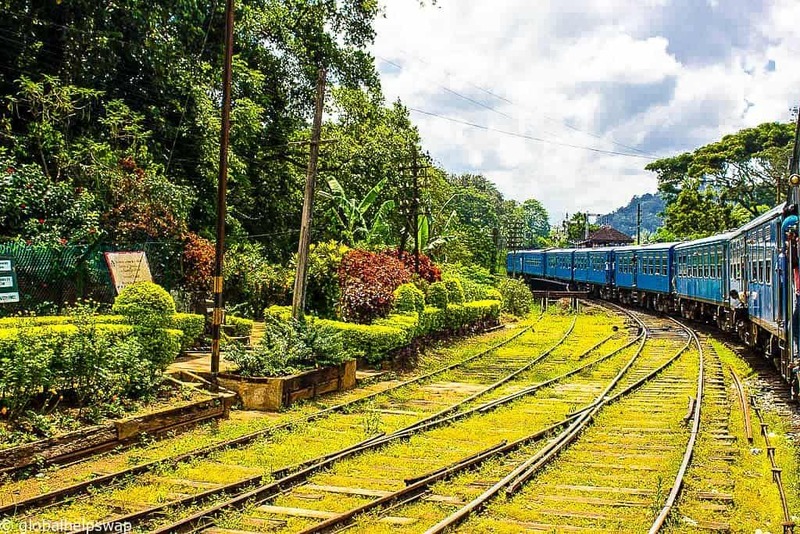 The Kandy to Galle Train – If you’re thinking of taking the Kandy to Galle train read our post for some top tips on how to make the most of this journey. Click to find out more. The 10 best Mirissa Hotels – Are you heading to Mirissa Beach? Then find out what we think are the 10 best Mirissa Hotels before you book your accommodation in Mirissa, Sri Lanka. 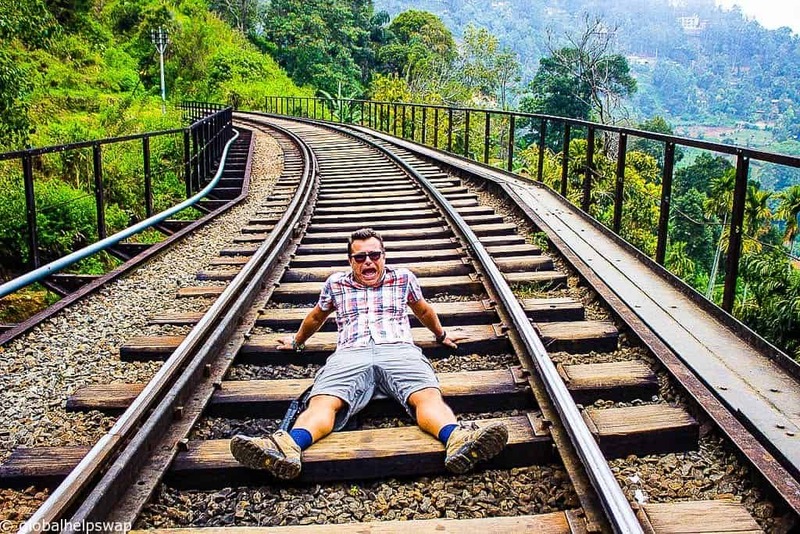 Looks like you had a good time in central highlands in Sri Lanka. And i can notice some awesome clicks. If you interested in beaches,sunshine you can visit south or west coasts of the island on your next visit. Beautiful read and love all the photos! We were in Sri Lanka a coople of weeks back and seeing your lovely photos make me wanna go back, specifically in Ella! Thanks for the comment! Yes, we want to go back too! Thank you so much for this information. We’ll be heading to Ella on the 7th Feb and will definitely be using some of your walking tips. You are more than welcome! Have a great trip! Hi. Do you recommend staying in Ella or Nuwara Eliyia? Hmmm, they are both great but we loved Ella so we would say there. Hi Paul, love your blog. Very useful and detailed info! Question for you: We are going Colombo-Kandy-Ella. 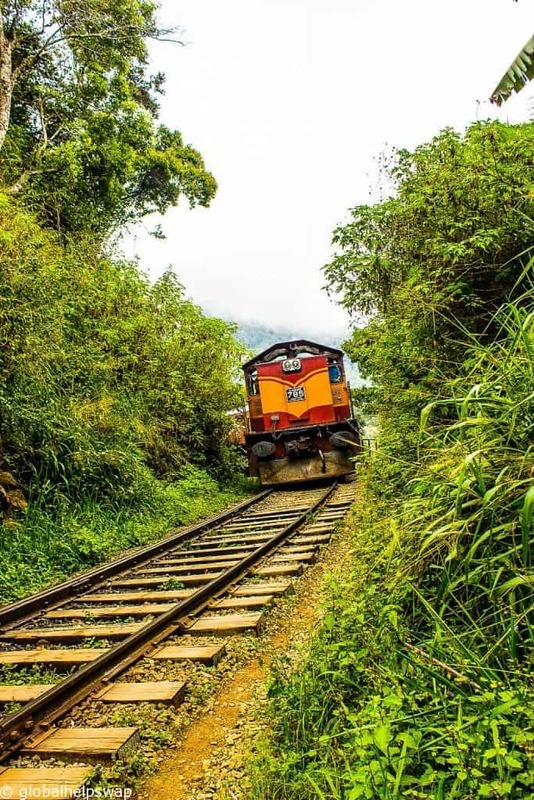 Do you recommend taking the train from Kandy to Ella? How about a stop in Nuwara Eliyia en route? Or should we stay in Ella and do day trips? Yes, take the train for sure! It is one of the world’s best rides. We really enjoyed Nuwara Eliya so I would stop off there too. This is really informative. I can literally plan my itinerary with this. Hi Sarah, we are glad that it is helpful. Wow, very beautiful! We are looking at travelling to Sri Lanka in Nov this year, however we are travelling with our 3 yr old kid. Are there places in Ella we can visit that doesn’t require trekking. We want to visit Sri lanka specifically because we love nature, beaches, culture and the food. What other places around Sri Lanka that you recommend.